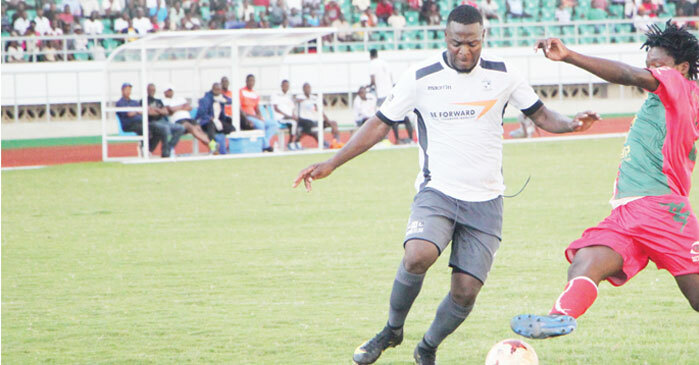 The 2019 TNM Super League season might be two days old but, already, giants Be Forward Wanderers are sweating over the severity of defender Lucky Malata’s injury which marred their 5-0 demolition of Mzuni at Kamuzu Stadium on Saturday. The former Silver Strikers captain limped off in the 13th minute raising fears that the injury, which haunted him for a good part of last season, had reoccured. Another key Nomad, Mike Kaziputa, was also taken off late in the second half after picking an injury. Wanderers Coach, Bob Mpinganjira, said they were waiting for medical reports amid fears of losing Malata for a long spell. “It is only scans that can reveal the extent of the injury. As for Mike, I have been told that it was not that bad and we are expecting him to bounce back this week. As for Lucky, we will wait for medical examination,” Mpinganjira said. Wanderers Team doctor, Samuel Matukuta, said Kaziputa suffered a simple ankle tissue injury whereas Malata is feared to have pulled knee ligaments. “Lucky was supposed to undergo further tests at Queen Elizabeth Central Hospital on Sunday [yesterday] but, due to other reasons, we opted that he should be examined on Monday [today]. He pulled his ligaments and we need to know the extent of the damage through an x-ray. So, it is too early to conclude whether he will miss a good part of the season,” Matukuta said. Malata missed a considerable part of the 2018 season but underlined his class during the Nyasa Big Four Bonanza as well as Ecobank Charity Shield with his tenacity in defence. Meanwhile, Silver Strikers have gone on top of the table despite being held to a goalless draw by Chitipa United at Karonga Stadium Sunday. The Bankers have four points from two games, having defeated Karonga United 3-2 on Saturday. In other results, debutants Mlatho Mponela started their campaign on an awful note after they lost 0-3 at home to Civil Sporting Club. Lloyd M’deza scored a brace, with Isaac Msiska netting the other goal. Another debutant, Ntopwa, drew 0-0 against Mzuni at Kamuzu Stadium. Mighty Tigers beat Dwangwa United 2-1 at Chitowe Stadium with goals from Edwin Carlos and Chasimbiwe Kanyika. Darlington Chinthala scored for Dwangwa. New signing Henry Misinjo and Micium Mhone scored a goal each as Blue Eagles beat Moyale 2-1. Deus Nkutu got Moyale’s consolation. Tigers are second on the table after coming from behind to beat Dwangwa United 2-1.